This book is the first publication of detailed drawings for the construction of authentic reproductions of the furniture designed by Charles & Henry Greene, and constructed in the workshops of Peter & John Hall. 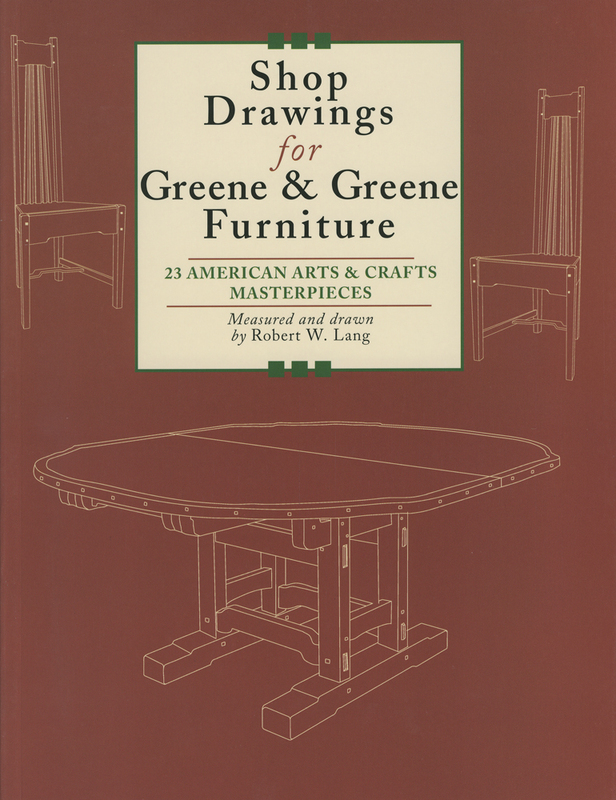 Greene & Greene furniture is the ultimate expression of high-end custom furniture from the American Arts & Crafts period of the early 20th century. Since its initial publication in 2006, this unique book has found a home on the shelves of woodworkers, designers and aficionados of the period. International customers please e-mail for shipping estimate before purchasing.